Have you tried Poke (pronounced po-kay) yet? Poke is a raw fish salad served as an appetizer or entree in Hawaiian cuisine. In Hawaiian “poke” means to slice or cut, referring to any meat or seafood that has been diced and cut into chunks. Poke is most commonly made with tuna but can also be made with salmon, octopus or other various shellfish. Poke can be eaten alone or over rice. Traditional poke consists of cubed fish, soy sauce, sesame oil, chili garlic sauce, green onion and sesame seeds. Since this dish has become wildly popular, you can find many different variations that stray from the traditional. Some poke dishes start with shrimp, salmon or tofu as their base. Others use quinoa in place of rice and top with various fruits or vegetables. Avocado is a favorite but zucchini, edamame, cucumber, pineapple and mango are also common. Add sriracha for a kick! 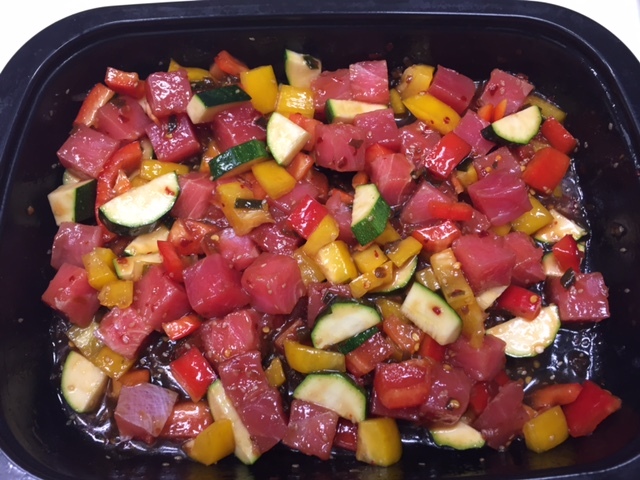 Did you know your local King Kullen is now serving Tuna Poke? 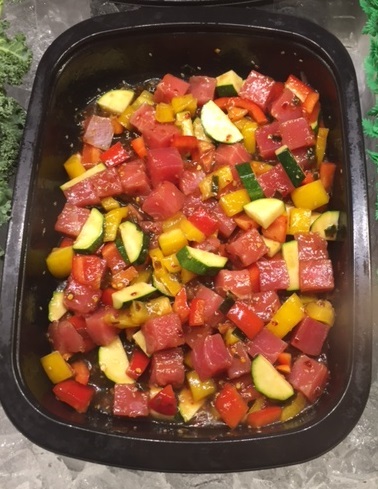 You can find Tuna Poke, available in two flavors, at any King Kullen location with a full service seafood counter.